1Place a large skillet over medium-high heat. Melt the butter and add garlic, cook for 1-2 minutes. 2Add in the zoodles and spinach. Gently toss and cook until spinach leaves are wilted, about 2-3 minutes. 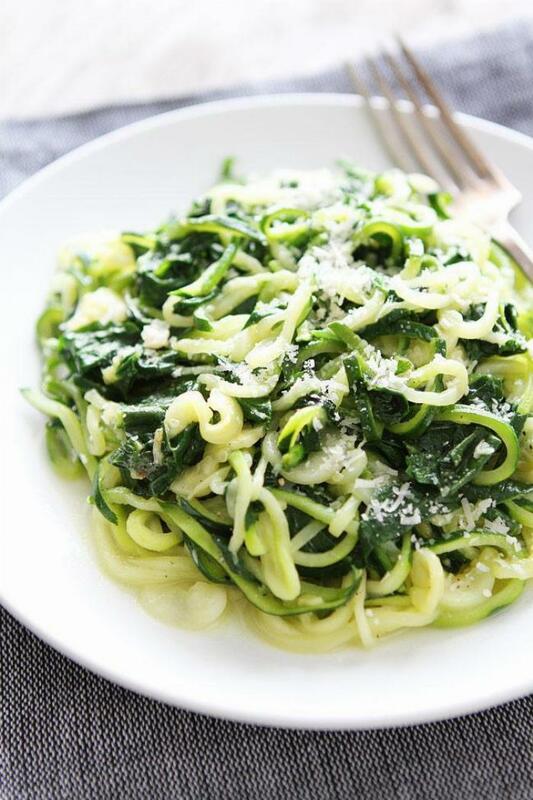 3Stir in 1/4 cup of the Parmesan cheese and toss until zoodles are coated. Season with sea salt and black pepper, to taste.